IN WINTER the region offers an ideal setting for fans of skiing, downhill skiing or hiking, sports and nature lovers, big dreamers eager for adventure and unique experiences, there is something for everyone. 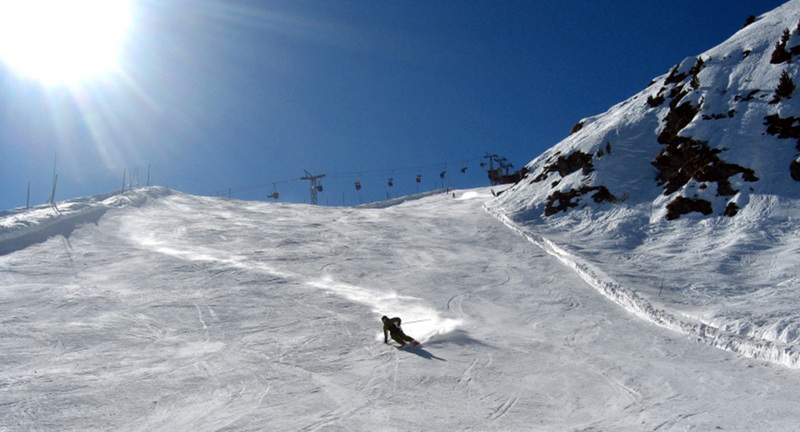 SKI & SNOWBOARD – Over 400 miles of trails and nearly 100 facilities make up the 4 Valleys ski area still covered in snow in winter (between 2000 and 3330 meters) and includes the resorts of Verbier, Nendaz, Veysonnaz (with the legendary ski-piste “Piste de l’Ours“) and Thyon. It is anticipated over the next four years to complete these installations by new lifts and snow guns. 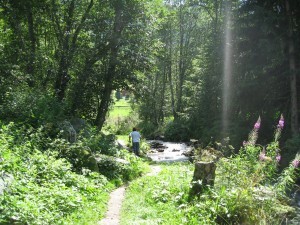 TOBOGAN – Sledge through the forest, between Thyon 2000 and Collons 1900, on a 7km long track. HIKING-WINTER – Several kilometres of marked paths allow you to discover the beauty of winter scenery and provide the openings on a breathtaking panorama. 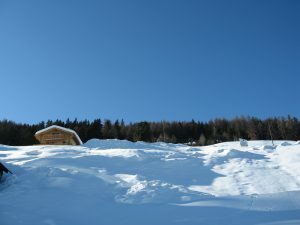 CROSS-COUNTRY SKIING – There are 2 cross-country skiing tracks between Thyon-les Collons and Thyon 2000, and one in Veyzonnaz. RESTAURANTS & PUBS – There are 20 restaurants, 5 pubs and 3 discos between Thyon Collons , Thyon 2000, Veyzonnaz and Nendaz. INDOOR SWIMMING POOLS – Veysonnaz (with a spa/wellness centre/fitness centre). A hotel residence is planned for late 2012 in the centre of Thyon-Les Collons, including an indoor swimming pool/spa/fitness centre and open to visitors. SHOPS – All necessary local shops are present in the village : 2 minimarkets, sport shops, newsagent, butcher, baker, interior design shop, clothes shop. IN SUMMER, the calm and the freshness of the region allow the residents and the hosts to fully enjoy the mountain. SPORT – Walking, trekking, mountain biking, rock and mountain climbing, paragliding, fishing, mountaineering, tennis, swimming, golf (4 championship courses within an hour drive), all these activities are available just next to your luxury residence. 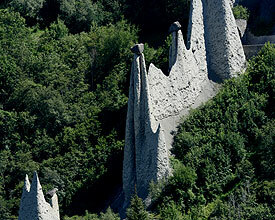 PYRAMIDS OF EUSEIGNE – These pyramids probably represent one of the most famous natural monuments of the Val d’Hérens and the Valais, but they also represent one of the most remarkable geological curiosities in the Alps. THE MEDIEVAL TOWN OF SION AND ITS CASTLES – located on the two hills dominating the mediaeval town of Sion, the castles of Valère and Tourbillon are part of the historical heritage of the country and attract every year a lot of tourists and visitors. THE GRANDE DIXENCE DAM – is more than 400 million cubic meters of water, an artificial lake about 5 km long, this massive construction still represents with its wall of 285 meters the highest concrete dam in the world. THE FONDATION PIERRE GIANADDA – This foundation is a private collection of art, accessible to the public and located in Martigny. It contains world unique exhibitions of paintings, sculptures, all kind of artistic masterpieces and even a classic cars collection. One can also discover in the underground part of the museum a showroom with the famous collection Louis and Evelyn Franck. 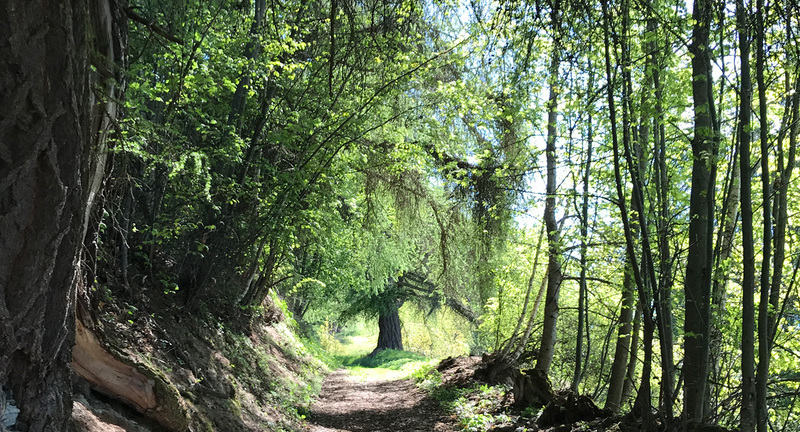 THE IRRIGATION CHANNELS IN VEW – Former irrigation canals that run generally contours without gradients and along which it is very pleasant to walk. CARIBOU RANCH – Mountain Ranch located at 2000m altitude with an enchanting setting.